Elegance is the first thing that comes to mind upon seeing this set. 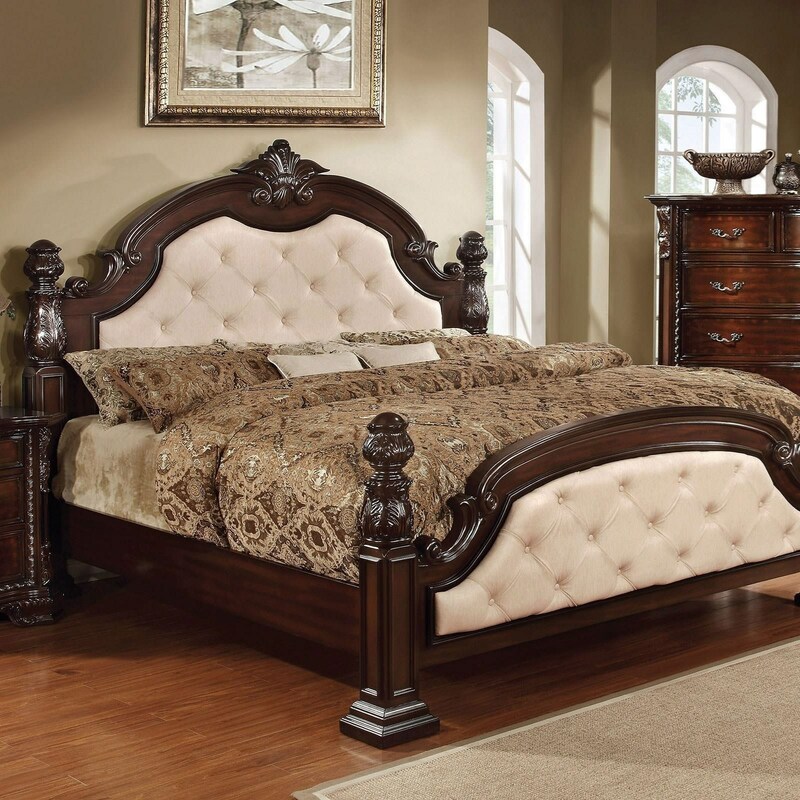 Floral accents adorn the oval headboard and footboard with a padded, button-tufted centerpiece. Opt for a striking contrast with ivory leatherette, or choose the matching dark brown leatherette for a more harmonious feel. Finished in dark walnut. 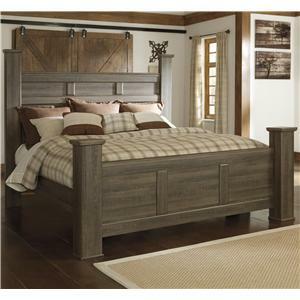 The Monte Vista I Traditional King Poster Bed with Button Tufted Head and Footboard by Furniture of America at Furniture Superstore - NM in the Albuquerque, Los Ranchos De Albuquerque, Rio Rancho, Santa Fe, Corrales, NM area. Product availability may vary. Contact us for the most current availability on this product. CM7296LA-EK-HB-1 Component 1 1 0" 0" 0"
CM7296LA-EK-FB-2 Footboard Component 1 0" 0" 0"
CM7296LA-EK-R-3 Eastern King Rails 1 0" 0" 0"
Browse other items in the Monte Vista I collection from Furniture Superstore - NM in the Albuquerque, Los Ranchos De Albuquerque, Rio Rancho, Santa Fe, Corrales, NM area.